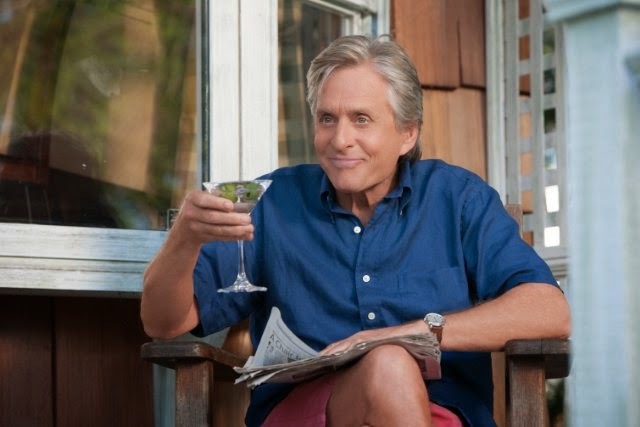 AND SO IT GOES is as pitiful a project as stars Michael Douglas and Diane Keaton and director Rob Reiner have ever been involved in, a shamelessly manipulative, sappy, creakingly unfunny waste of talent and 94 minutes, better spent watching a dog scratch. Douglas plays a widowed real estate hotshot who behaves abominably to everyone—it’s the most unlikable characterization since the last political candidate you saw on TV. Keaton’s smile can’t save this flop, which was kicked in the shins by critics and didn’t recover its cost as word-of-mouth spread from those gulled into seeing it. From 2014, with Sterling Jerins, Annie Parisse (a winning actress not helped by a property like this), Frances Sternhagen (awful), Frankie Valli (what for?) and director Reiner. $18,000,000 went in, a piddly $25,312,000 came out. Oh, plot—cast-off granddaughter comes to live mean old guy who has a lonely lady neighbor. Hold your breath.